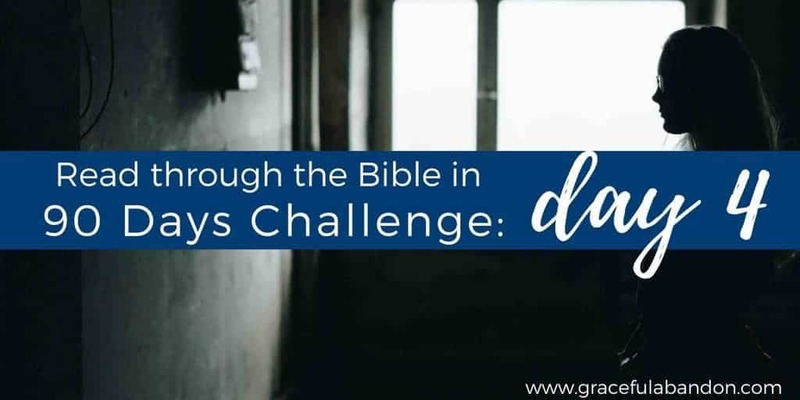 If you’re joining us as part of the 90-Day Bible reading challenge, congrats on finishing up Genesis! Were you as struck by the beauty of Joseph’s relationship with his brothers being restored? I loved it. But the rest of the story was pretty miserable, don’t you think? Joseph got a raw deal. Daddy’s favorite, sure, but mostly hated among his brothers. And that didn’t work out well for him. They sold him as a slave and he got taken to another country as a servant. He had ups and downs, and he ended up hanging out in a prison cell for a crime he didn’t commit. That’s enough to make anyone bitter. But not Jospeph. Why? We read multiple times in Scripture that the Lord was with Joseph and gave him favor. Four times in chapter 39 alone we are told this, although it is obvious throughout his entire life. And all four times, the result of God’s presence in Joseph’s life was success. Gen 39:2-3 (ESV) The LORD was with Joseph, and he became a successful man, and he was in the house of his Egyptian master. His master saw that the LORD was with him and that the LORD caused all that he did to succeed in his hands. Gen 39:21 (ESV) His master saw that the LORD was with him and that the LORD caused all that he did to succeed in his hands. Gen 39:23 (ESV) The keeper of the prison paid no attention to anything that was in Joseph’s charge, because the LORD was with him. And whatever he did, the LORD made it succeed. The interesting thing to note here is that God was with Joseph and Joseph was successful in two totally different situations in chapter 39. Joseph’s success had nothing at all to do with his physical location; it had to do with his God who blessed him regardless of where he was. I’m not sure what you think of when you ponder being a success and living in God’s presence, but I know prison isn’t what I had in mind and yet that’s exactly where Joseph ended up. It just goes to show that God’s ways are not our ways. God didn’t see fit to have Joseph leave prison right away, either. He could have delivered him (God is GOD, after all), but He didn’t. In fact, it was YEARS for Jospeph; he had no way out of it. But God never left him. Sweet friend, we may not get taken out of the hard situations we find ourselves in, but we are certainly neer alone in them. God is always there. Joseph always lived in God’s presence. He was successful because God made it so. But you know what made him so successful? His obedience to God. Too many times I get hung up the situation I’m in instead of the God who is in it with me. Kind of like Hagar not seeing the well until God opened her eyes. But not Joseph. He took each step in stride and let God’s presence be enough. And eventually he was restored to His family and they were redeemed by his grace. No matter how dire things were for Joseph, God was always there. Joseph understood God’s sovereignty and authority and rested securely in them. 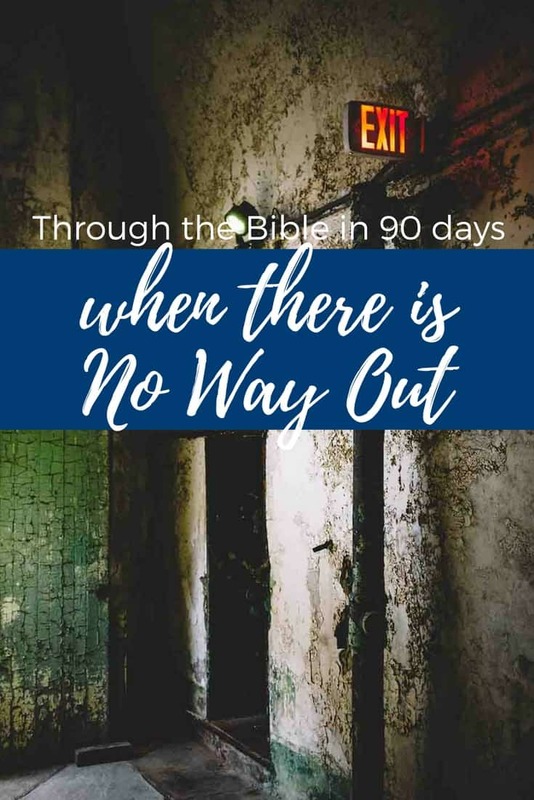 Even when it seems like there is no way out, God can bless it and we can be successful at accomplishing His plans for our lives just like Joseph. Sometimes the answer isn’t in the way out; it’s in the way through with God’s blessing.